Ska Brewing: Modus Hoperandi, Ep. 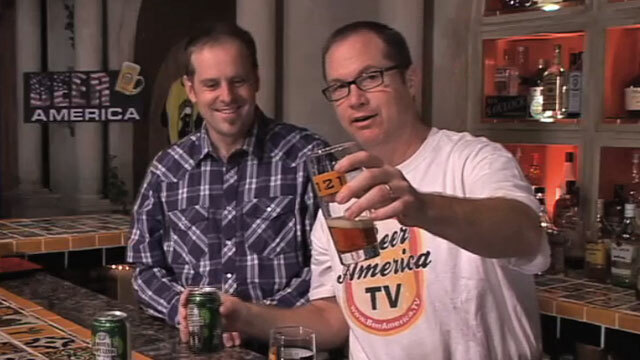 124 | Beer America TV - Craft Beer in Motion! Hop heads rejoice, Modus Hoperandi has a beer for you! At Beer America TV, we’ve had our share of hoppy beers, some bitter, some almost sweet. I would venture to say that Ska Brewing has found a nice middle road with Modus Hoperandi! A deep orange color, this beer hits you with citrus and pine with a little bitterness thrown in for good measure! What also makes this beer unique is that it’s canned, something we’ll be seeing a lot more of in the future! Nice show! I enjoyed an Sierra Nevada Torpedo clone watching this vid. I put that on my list for “beers to look out for” at the Beverage Warehouse in Winooski VT. Here in Canada, our Gov seems to think THEY know what a good beer is. Imagine that! Cheers guys and keep em coming! “Lip Up Fatty” is a reference to the British ska band Bad Manners, Fronted by the great Buster Bloodvessel. Durango is a sweet town, SW Colorado. Four breweries in a town of under 20,000 people; Ska, Carver, Durango, and Steamworks. Keep up the good work! If you can find any Hair of the Dog brewing from Portland, OR, get it… The brewer is an ex-chef, could be interesting to show the elements of brewing similar to cooking as a topic, how this is truly influencing the craft brewing community. Cheers! Great episode guys. Now I’m thirsty. Thanks. I look forward to the next show. Thanks for the comments everyone! !